The cost of high education continues to rise in America, but a conference was held in Jupiter Wednesday in search of answers. 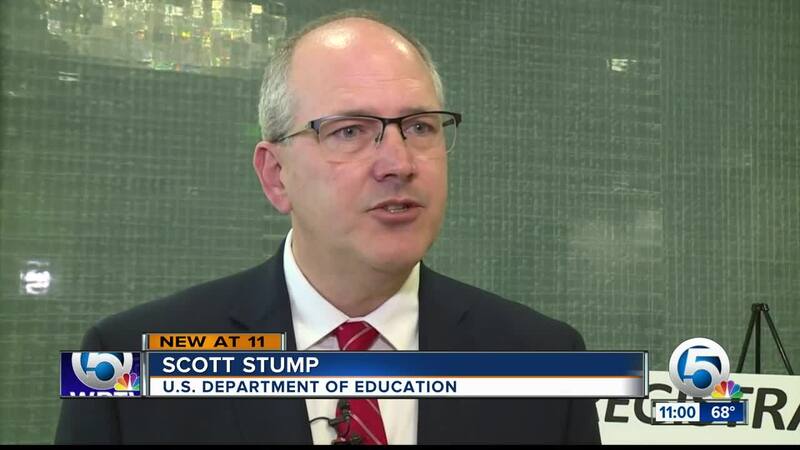 Scott Stump, the assistant secretary for career, technical, and adult education at the U.S. Department of Education, attended the College Savings Foundation conference at the Wyndam Grand Hotel. JUPITER, Fla. — The cost of high education continues to rise in America, but a conference was held in Jupiter Wednesday in search of answers. Scott Stump, the assistant secretary for career, technical, and adult education at the U.S. Department of Education, attended the College Savings Foundation conference at the Wyndam Grand Hotel. Stump serves as the principal adviser to Secretary of Education Betsy DeVos. He says while his team works to prevent student loan debt from growing, the path to success does not always involve a four-year university. "Whether it be IMB or Google, Amazon, they are really paying attention more to the competencies and skills that an employee can provide versus the degree that they have on paper, which is a big shift in how hiring takes place, as well as how education provides certification of different levels," said Stump. He says it is much more economical to save for college than to pay back college loans. 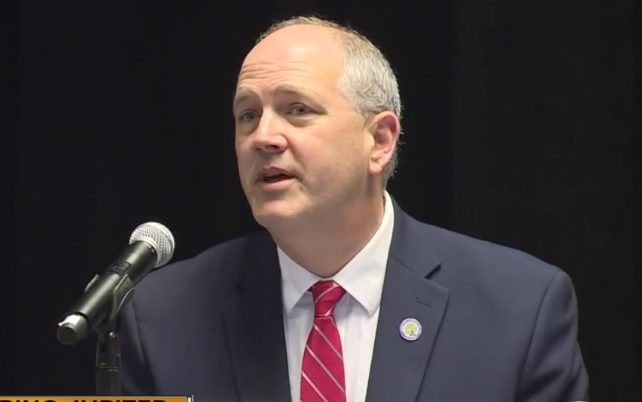 Stump also advises families to start saving early and often for higher education.